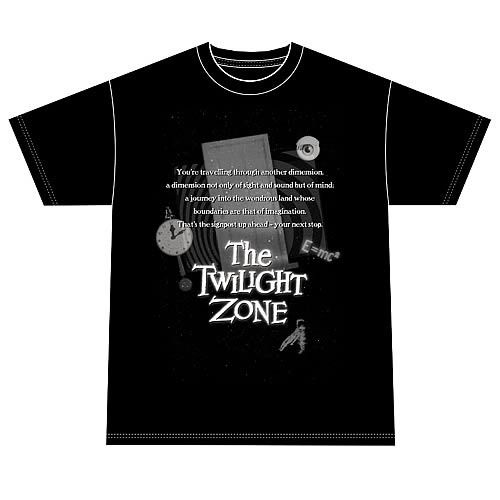 The Twilight Zone Monologue T-Shirt. Recite Rod Serling's legendary introuction to The Twilight Zone with this 100% cotton, high-quality, pre-shrunk black t-shirt. Machine washable. Order yours today!